Whether your trusty cans just bit the dust or you’re tired of listening to tinny plastic in-ears, we’ve all been there: You need a new pair of headphones, and you need to know what’s good right now. Don’t fret. Whether you’re a new iPhone or Google Pixel 3 owner who needs a set of excellent wireless cans (i.e., not the Pixel Buds), a frequent traveler looking to block the outside world, a runner in need of a sweatproof option, or just a music lover that wants great-sounding over-ears to enjoy your favorite tunes, we have you covered. We’ve scoured the market — and spent hundreds of hours testing — to find the best options available for everyone. The headphones on this list are the ringers. The value picks. The top guns. So stop tearing your hair out and peruse our curated collection of the absolute best headphones for you, your ears, and your wallet. Why you should buy them: Beautiful wireless sound, plush comfort, and excellent noise canceling. Who they’re for: Anyone who wants a top-tier wireless experience, and loves silencing the world around them. Sony’s technologically advanced WH-1000xM3 are the third generation of Sony’s flagship wireless noise-canceling headphones (following the excellent WH-1000xM2 and MDR-1000x models) that offer top-tier noise canceling, excellent quality wireless audio, and plush comfort. This enticing combination earned the model a rare five-star rating in our review, and — thanks to a few notable improvements — makes the latest version the best headphones you can buy. At the heart of the WH-1000xM3 is outstanding wireless sound. Sony’s LDAC technology delivers a wireless signal at what the company claims is three times the quality of standard Bluetooth streaming, and the headphones also support the latest aptX HD codec (with supported devices). The 1000xM3 even “upscale” wireless music from high-resolution audio devices using a special chip, helping to make music sound dynamic and beautiful, with authoritative bass and clear treble response held together by a well-rounded midrange. The WH-1000xM3’s excellent noise-canceling technology ranks second only to the new Bose QC35 II, from the brand that has long dominated the market in terms of sheer noise-blocking abilities. That said, the Sony cans sound much better than the new bass-forward Bose option, and offer numerous features that help to create a much better overall experience. The WH-1000xM3’s advanced control systems allow you to let in various levels of ambient sound, with advanced features like voice-only mode, which helps filter through vocal frequencies so you can hear your music and the voices around you while blocking out other sounds. Responsive touch controls let you navigate volume, make calls, and play and pause music with ease, all while helping to maintain a clean aesthetic. Best of all, the WH-1000xM3 offer a staggering 30 hours of battery life, providing even heavy users with days of use from a single charge, and offering a quick charge feature that allows you to enjoy 5 hours of listening after just 15 minutes of charging. Why you should buy them: Comfort, six-hour battery life, sweatproof performance. With a compact, ergonomic fit, an included wireless charging case, and six hours of listening time on the go, Samsung’s Galaxy Buds offer listeners the cutting edge in terms of both tech and design. The small headphones are designed for go-anywhere, do-anything performance, with built-in earfins and IPX2 sweatproofing that allow them to be a companion during rainy walks and sweaty workouts alike. Well-thought-out, app-based customization allows you to adjust equalization, find your headphones, and even hear sounds from the outside world — which is especially useful during outdoor workouts or unfamiliar trips on public transit. Such an assortment of useful features make Samsung’s Buds your best everyday listening pal, providing you with just what you need, right when you need it. The best part? The Galaxy Buds cost less than models from Apple and Jabra, making them an absolute no-brainer when it comes to choosing the best true wireless headphones. Who’s it for: Those looking for a great-sounding, feature-packed, pair of headphones at a very low price. 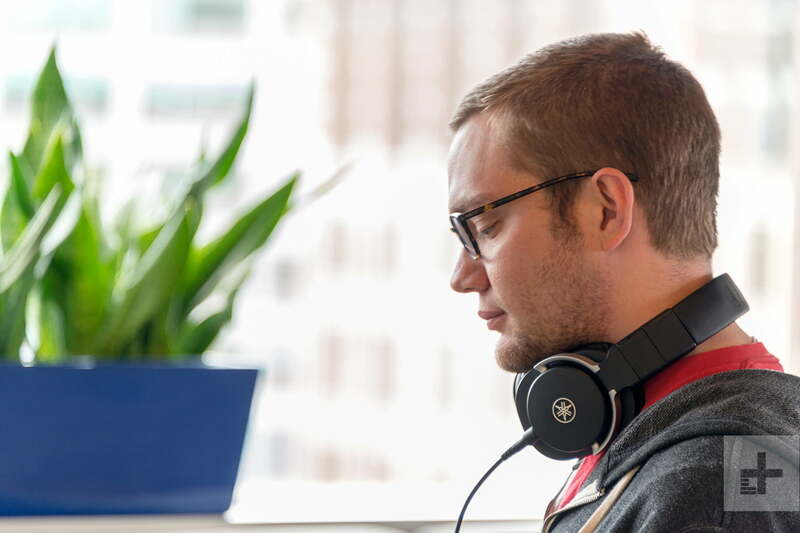 With 30 hours of battery life, active noise cancellation, and a simple and understated design that’s geared toward business trips and long commutes, TaoTronics’ TT-BH060 are the low-budget champion of the headphone market. Where other active noise-canceling models with such long battery life (like the Sony model at the top of this list) cost many multiples the price, this plucky TaoTronics model costs less than a single night out on the town. But that doesn’t keep them from feeling premium: The headphones come inside a woven hard case with an included 3.5mm cable for wired listening, and easy-to-use controls make it quick and easy to change songs, adjust volume, and turn off and on the active noise cancellation. One thing that’s worth noting is that you’ll want to turn the noise-canceling off when you’re not wearing them. That’s because the power to the noise-canceling doesn’t turn off when the headphones themselves are powered off. The sound is better than you’d ever expect for their low price. Our favorite music comes across as warm and balanced, with the headphones offering tight and energetic bass performance, but not overwhelming with muddy layering in the midrange. Such well-balanced sound is benefited greatly by the active noise cancellation, which provides a blank slate over which the TT-BH060 can project your favorite sounds. If you’re in the market for a great pair of over-ear headphones, but you don’t want to touch your savings account, these are exactly what you need. Why you should buy them: Good sound, battery life, and waterproof functionality. With small extrusions emerging from otherwise understated fully wireless in-ears, Jabra’s Elite Active 65t look like miniature versions of the Bluetooth headsets that helped put the brand on the map. But don’t be fooled by the looks — with competitive battery life, sweatproofing, excellent sound quality, and a myriad of useful features, these little guys beat out every other pair of headphones on the market as the best workout headphones. But perhaps the main reason to buy the Jabra Elite Active 65t is that they always do what you want them to — and never drop the connection. That’s shockingly rare in the fully wireless space right now and, when combined with the other features, it makes these some of the best true wireless buds you can buy right now. Designed by audio professionals for audio professionals, these studio monitor headphones feature two detachable cables (a 1.5-meter coiled cable, and a 3-meter straight cable), and include a screw-on quarter-inch connector for use with audio interfaces. Plush leather pads and a padded band join solid metal earcup brackets to create a nice seal and comfortable long-term fit, making them feel great during extended work sessions while keeping sound from bleeding into your microphone during overdubs. In many ways, you can think of the Yamaha HP8-MT8 as a trusty pair of audio workboots. They may not be the flashiest-looking accessory, but they get the job done every time. If you’re looking for some excellent studio headphones, or just seriously accurate sound, these are among the best you’ll find.